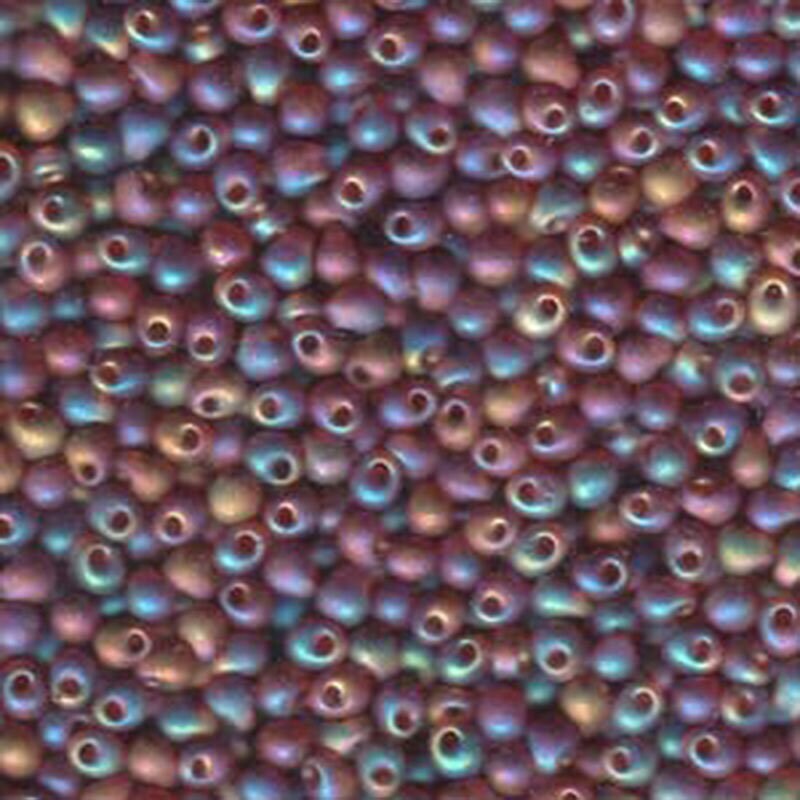 Beads are drilled on one end instead of the center. Japanese Miyuki drop beads are shaped like tiny teardrops or pendants and are 3.4mm in size, hole size about .8mm. Drop beads are ideal at the bottom of fringe, use for bead weaving, stringing and with wire. The holes will fit onto .024" or smaller beading (stringing) wire and 20 gauge wire. About 14 beads make up an inch. very vivid color and just the size I need for a project I have in mind!!!! They always ship quickly. Great prices too. Good quality beads.